More than just a San Francisco helicopter tour, this by-the-bay adventure ups the romance with a starry yacht dinner! 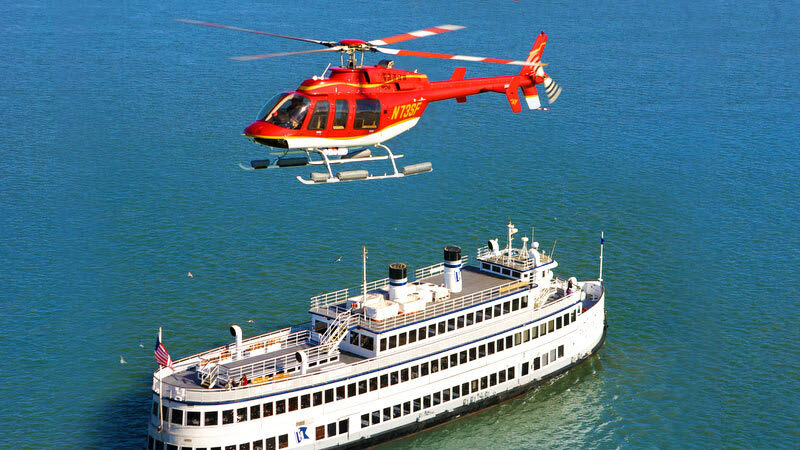 More than just a San Francisco helicopter tour, this by-the-bay adventure ups the romance with a starry yacht dinner! It starts off with a whirl over the Bay Area with ample photo opportunities. After the aerial stretch, touch down and hop aboard a luxury yacht for even more exquisite sightseeing. Indulge with the Chef’s specially prepared dinner then spend your evening strolling the deck with that special someone! Get shuttle transportation to the San Francisco takeoff site. 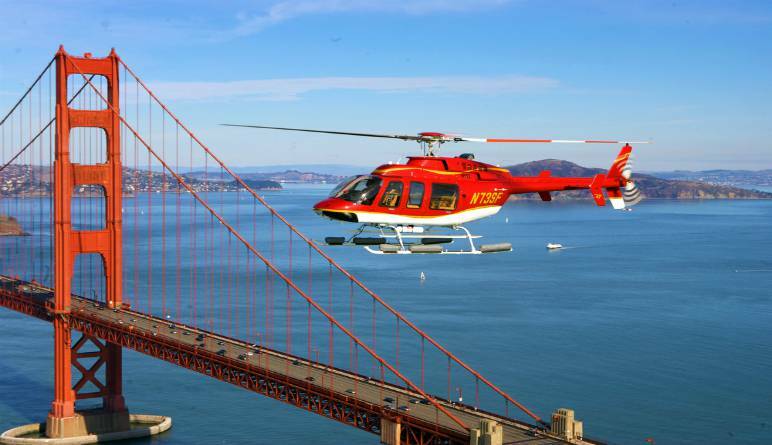 Have a blast with a helicopter tour of the Bay Area! 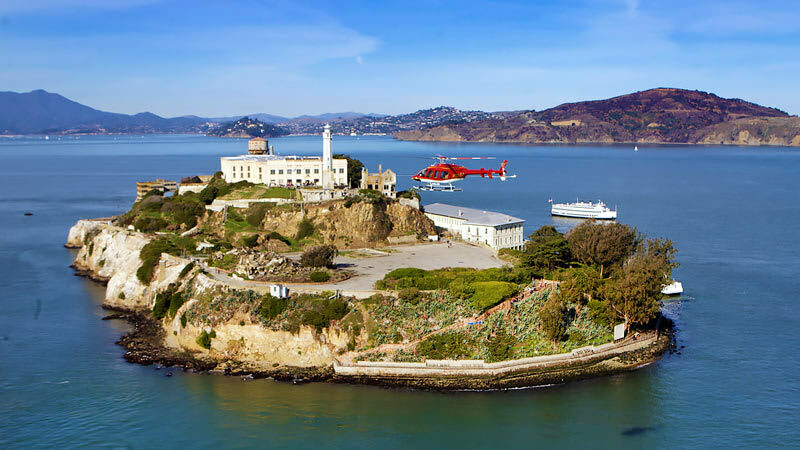 Hover over infamous Alcatraz Island. Learn all about San Fran’s famous bridges. Enjoy in-flight music and live narration! Land and hop aboard a luxury yacht. Enjoy even more mood-setting tunes over a romantic dinner. Get fantastic deck-side views of the city skyline! Few adventures perfectly balance the romance and adventure found here. 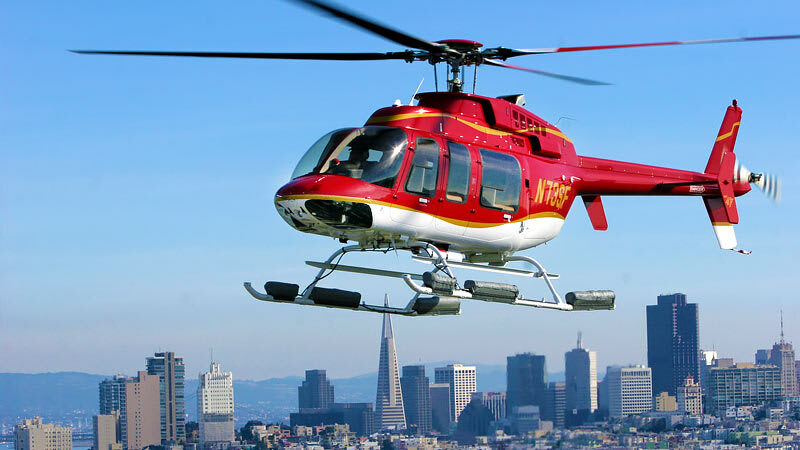 Plus, this helicopter tour is also the perfect introduction to San Francisco’s many shining assets. Book now and get to know the city inside out - there’s no better way to discover the Bay! It was a great experience to see SF via air and sea! Our server on the cruise ship, Paul, was quite exceptional. He was a wonderful waiter who made sure all of our dinner needs were met at all times. He even went above and beyond to help my sea-sickness by bringing me a ginger ail and making suggestions on where to sit to ease the motion sickness. It helped a lot! Thank you Paul! Total enjoy our times Thank you? ?